Hello everyone, Happy National Candy day! Yes, another excuse to satisfy our sweet tooth cravings. 🙂 My name is Palak Shelat and I am one of the AmeriCorps members serving within the Telemedicine based Diabetic Retinopathy Program. Last Friday, November 1st, it was a pleasure to meet with Dr. Tien Wong, a Provost Chair Professor, Chairman of the Department of Ophthalmology at the National University of Singapore, and a Group Director in Research at Singapore Health Services from the Community Health Center in Middletown. 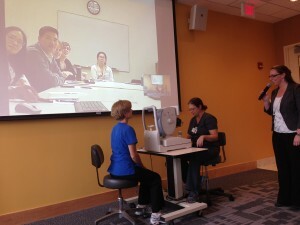 As we bridged to California 3500 miles away from home via a video conference, I along with Dr. J. Nwando Olayiwola, Associate Director at the Center for Excellence in Primary Care at University of California and a former CHC Chief Medical Officer, and Grace Capreol, former Diabetic Retinopathy Program Coordinator, had the opportunity to conduct a brief presentation. Our presentation on Implementation of Diabetic Retinopathy Screening Program in Primary Care to Change the Paradigm for Specialty Care in the Safety Net allowed us to discuss how the telemedicine program was implemented in order to enhances access, reduce costs and increase satisfaction for low income and minority patients with diabetes. In addition, in consideration with Dr. Wong’s efforts in instigating a similar program in Singapore, we presented the challenges that we face to maintain an agency standard and our continuous dedicated efforts to sustain program goals. 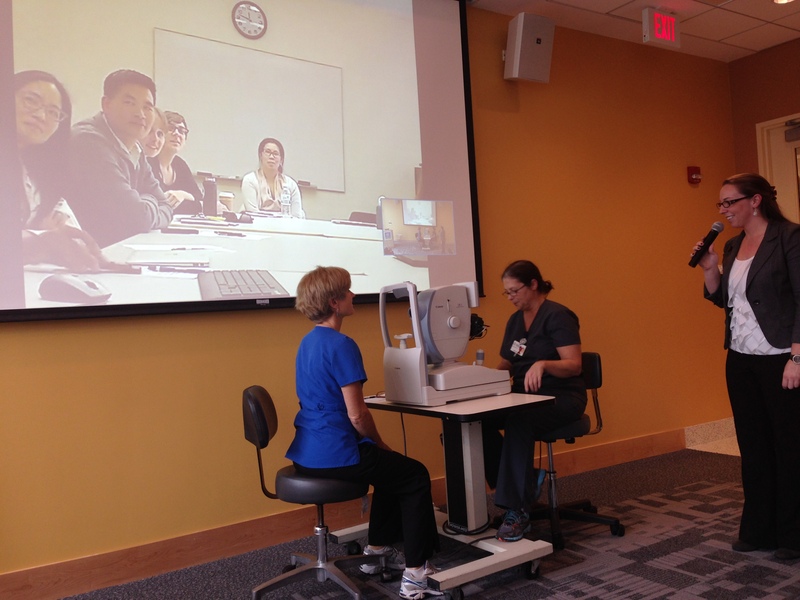 This enjoyable experience concluded with the exhibition of a beautifully produced demo that illustrated the process of an actual retinal screening by Ann Webster, Nursing Manager, and Deborah Arena, Medical Assistant. All in all, I came in as an AmeriCorps member to experience the impact of Community Health Center’s services within the individual lives in our community. However, I was not aware that I will have the honor to become a part of and witness a greater influence of such prosperous and innovative program all the way across the world. New Horizon’s Clothesline Project Presentation is Tomorrow!